The first British Empire Games were held in Hamilton, Ontario in Canada between 16th and 23rd August in 1930 with a total of 400 competitors. They were a great success and many of their innovations were adopted by the Olympic movement which watched this new competition with interest. eg there hd never been a podium for the awards to be presented while the flag was unfurled for the winner. The Olympics had the flags, but no podium and they first used a podium in 1932. Where did the British Empire Games come from? What were their origins? My main source for what follows in “the Commonwealth Games” by Brian Oliver, although other sources have also been consulted. Bobby Robinson, above, was born in Peterborough, Ontario in 1888 and was an important figure in the newspaper business and a well connected businessman. He was known as a dynamic and aggressive campaigner who in 1929 first set out his plans for the Games. He and a fellow businessman, Howard Crocker, had been discussing ways to get their athletes more and better competition and Crocker had mentioned the Festival of Empire held in London in 1911 for King George V’s coronation; he also mentioned the ‘Pan Britannic Festival of Culture and Sport’ dreamt up by J Astley Cooper in the early 1890’s. Robinson liked what he had heard and is said to have begun planning from then for the Empire Games. He was further spurred on by the perceived treatment of Canadian athletes at the 1928 Olympics in Amsterdam. Mainly by the Americans and Germans. 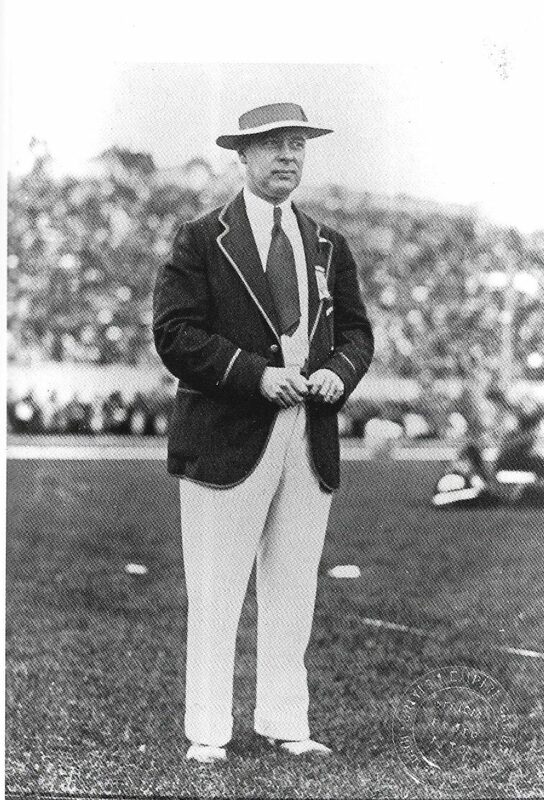 When Percy He was interviewed by the Toronto Star writer Lou Marsh who reported that “as a result of the dominance, real or imagined, by Germany and America at the Olympic meet, … Robinson finally boiled over and, after consultation with other Canadian officials, met representatives of the other British teams.” Among his complaints were the Williams incident mentioned above, the fact that the Americans were allowed to train on the Olympic track while the Canadians were not, a disputed verdict in the women’s 100m which was given to the Americans when Canadians thought it should go the other way, and a direct insult by Avery Brundage of America to a Canadian official. These comments of course only added fuel to the fire of rivalry between the two nations, and , maybe unfortunately, the official correspondence preceding the Hamilton meeting has been lost. However, in January 1929, Robinson asked the Hamilton city fathers for $25,000 to run the Games and a further $150,000 to build the stadium and other facilities. Other countries came on board, not without difficulty and the main supporters of Australia, England and New Zealand all stated their intention to be present. In the event, there were 11 nations present. 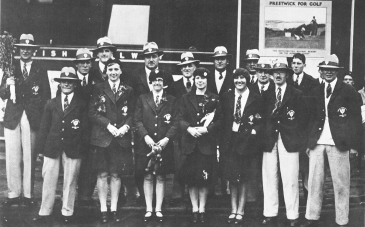 Once the games started, Scotland won 17 medals – 2 gold, 3 silver and 5 bronze which placed them fourth behind England (61), Canada (54) and South Africa (17) but ahead of New Zealand (9) and Australia (8). Not bad. There was only one athletics medal – gold for the marathon by Dunky Wright. There was also a gold, a silver and a bronze from boxing, bronze from bowls and finally two silvers and three bronzes from swimming.